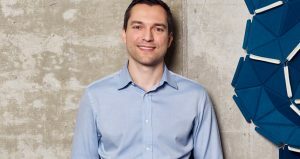 Cebu (Philippines) – April 9, 2019 (travelindex.com) – The Pacific Asia Travel Association (PATA) is proud to announce that Airbnb co-founder, Chief Strategy Officer, and Chairman of Airbnb China, Nathan Blecharczyk has been confirmed to speak at the PATA Annual Summit 2019 (PAS 2019). The event, hosted by the Department of Tourism, Philippines, will be taking place from May 9-12 at Radisson Blu Cebu in Cebu, Philippines. PAS 2019 is a 4-day event that brings together international thought leaders, industry shapers, and senior decision-makers who are professionally engaged with the Asia Pacific region. The Summit programme embraces a dynamic one-day conference under the theme ‘Progress with a Purpose’, which will highlight the fundamental challenges, issues and opportunities of the travel and tourism industry and how together we can bring about actionable change for the better. During the conference, Mr Blecharczyk will sit down with BBC World News Presenter, Rico Hizon, for an intimate one-on-one interview to discuss a wide range of topics ranging from innovative and technological advancements to sustainability and corporate social responsibility. Mr Blecharczyk plays a leading role in driving key strategic initiatives across the global business. Previously he oversaw the creation of Airbnb’s engineering, data science, and performance marketing teams. As a guest, Nathan has stayed in hundreds of homes using Airbnb and he is also a host in San Francisco, where he lives with his family. Following the one-day conference, PATA is once again partnering with the World Tourism Organization (UNWTO) to organise the half-day UNWTO/PATA Leaders Debate. The debate is an opportunity for public sector tourism leaders and rising stars in the private sector to discuss the issues, challenges and opportunities facing the travel and tourism industry today. Airbnb is the Official Debate Topic Partner for the event. To provide further value to its members, this year PATA is extending complimentary registration to all members to attend the one-day conference and half-day UNWTO/PATA Leaders Debate. Rates for PATA Chapters, non-members and students are also available. Due to limited seating, all registrations are served on a first come, first served basis. Founded in 1951, PATA is a not-for-profit membership association that acts as a catalyst for the responsible development of travel and tourism to, from and within the Asia Pacific region. The Association provides aligned advocacy, insightful research and innovative events to its more than 800 member organisations, including 95 government, state and city tourism bodies, 20 international airlines and airports, 102 hospitality organisations and 70 educational institutions, as well as over a hundred young tourism professional (YTP) members across the world. The PATA network also embraces the grassroots activism the PATA Chapters and Student Chapters, who organise numerous travel industry training programmes and business development events across the world. Thousands of travel professionals belong to the 35 local PATA Chapters worldwide, while hundreds of students are members of the 22 PATA Student Chapters globally. The PATAmPOWER platform delivers unrivalled data, forecasts and insights from the PATA Strategic Intelligence Centre to members’ desktops and mobile devices anywhere in the world. PATA’s Head Office has been in Bangkok since 1998. The Association also has official offices or representation in Beijing and London.